Volvo unveiled the third-generation, 2019 Volvo S60 today, and, I have to say, it’s a silver fox of a sedan. It also represents a bold bet on the American car market, since it will be Volvo’s first American-made car, at its new $1.1 billion plant outside Charleston, South Carolina. Let’s get to the exciting stuff first, like what’s under the hood. In a first for Volvo, there will be no diesels offered. Two versions, the T6 Twin Engine AWD and the T8 Twin Engine AWD, will both be supercharged and turbocharged hybrids, which Volvo says will be generating 340 horsepower and 400 HP, respectively. You can also get the new S60 in its non-hybrid T5 (250 horsepower) and T6 (310 horsepower). More excitingly, Volvo will offer a Polestar engineered version of the S60 in limited quantities and, oddly, only through the Care By Volvo app. I guess it’s a marketing push for Care By Volvo, which certainly would need some help getting some good marketing at the moment. 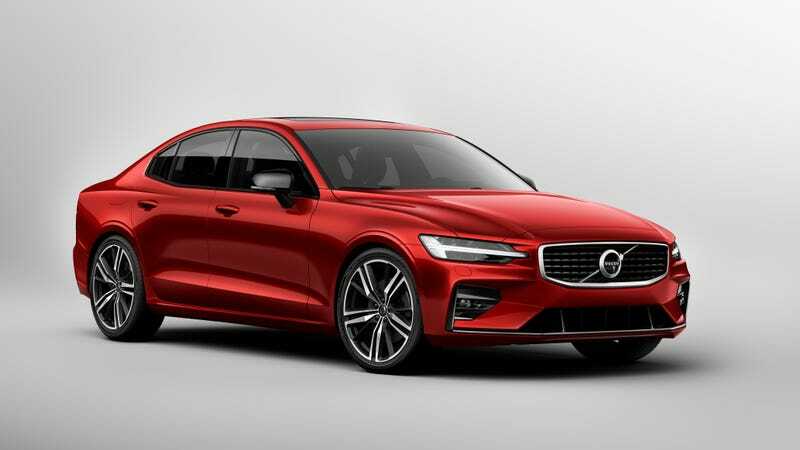 That Polestar S60 will be a version of the T8 Twin Engine AWD, but will produce an extra 15 horsepower and also have upgraded wheels, brakes, and suspension. The original screenshot displayed an incorrect price figure for the R-Design, which has been corrected. We regret the error. The S60, like the 2019 V60, will also be available to consumers via Care By Volvo, the company’s promising, if troubled, program which allows people to pay a flat monthly fee in exchange for a car, insurance, and basic maintenance. In the case of the S60, three models of the S60 will be available via Care By Volvo: The S60 T6 AWD with Momentum trim, available for $775 per month; the S60 T6 AWD R-Design, available for $850 per month; and the Polestar Engineered version, pricing for which Volvo said would be announced later, though you can expect it to approach $1,000 per month, if not more. However you get it, Volvo says the new S60 will begin getting to customers later this year, though you can start ordering the car this month. Both are also built on Volvo’s Scalable Product Architecture platform, Volvo’s corporate word for a host of safety improvements it first introduced in 2014 and now has spread across its car line. Volvo’s Pilot Assist feature—which can operate the car in stop-and-go traffic, in addition to on the highways, though its performance in the latter situation is a bit questionable—will be optional on the new S60, with, Volvo says, improved performance on corners. Correction: An earlier version of this article incorrectly listed pricing of the T6 R-Design model at $45,400. The correct price is $46,400, and the graphic above has been edited to reflect the accurate figure. The article continues in its original form below.